The two newest “Vi de Finca” wines in Catalunya that have been announced are in DOQ Priroat and from Mas d’en Gil. Named, Coma Blanca and Clos Fontà they have been fittingly timed with the 150th anniversary of the original founding of the estate which has been owned by the Rovira Carbonell family for 20 years now. For those perhaps unfamiliar with this classification scheme, I suggest having a read up to better understand how it compares with Spain’s general “Vino de Pago” as well as the concept of “Grand Cru” in the French manner of vineyard classifications. A great deal of work has gone into the building of this Vi de Finca system both on an institutional as well as winery front. Creating a new classification scheme for any region isn’t an easy endeavor as you’re bound to have critics making the charge that you’re essentially “inventing it”. There’s little to deny there as it’s essentially true. Also true is that the classification schemes in France were invented at some point. People accept these various “Cru” concepts without question, as they were established so long ago that people think such things have been as such since the dawn of time. So, I have to argue on the side of the local authorities that at some point, you sit down, observe what quality wines are being made where and then decide if they’re worthy of individual promotion for excellence. To emphasize, in this Catalan Vi de Finca system, it is only individual vineyards (ie “fincas”) that are qualified, like in Burgundy, not estates like Bordeaux and they are locked into that one vineyard. All four of these individual fincas in Priorat are comprised of old (35 years), if not “older” (50+ years) vines. Clos Fontà has old vines of Grenache and Carignan from ranging from 50-90 years of age and then Coma Blanca has White Grenache and Macabeu around 75 years old. This is quite unusual with Coma Blanca as while old red vineyards aren’t common, they regularly exist but vineyards of old white vines are not oft found. Joining Clos Mogador and Mas de la Rosa now means that there are a full four vineyards in the system, although there will probably be more before the DOQ Priorat “Gran Vi de Vinya” system comes into force years down the road. It should be added that while Vi de Finca has no minimum age for vines (technically it would be at least 13 (*), but is always more), this Gran Vi de Vinya will codify that high-classed vineyards will need to be from old vines and 90% comprised of either Grenache or Carignan. Are these two wines a worthy addition to the listing? 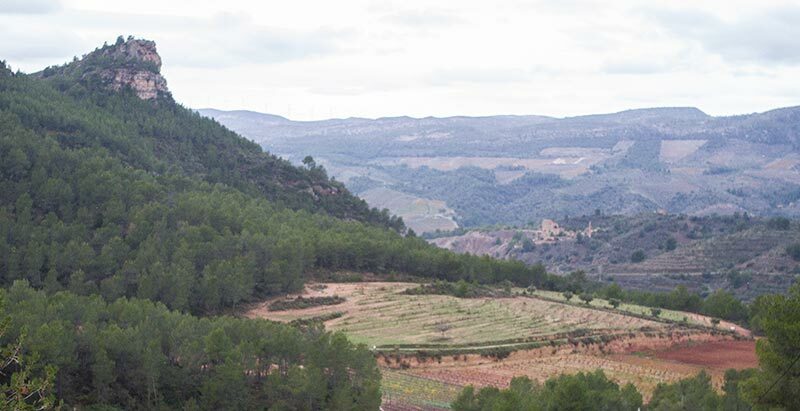 In keeping with the themes of what “is” Priorat as well as being high-quality wines worthy of distinction, indeed they are and it’s pleasing to see the list grow outside of the more well-known villages of Gratallops and Porrera. More is yet to come on this front by the way so stay tuned. * Vineyards don’t produce usable grapes until the 3rd year if not 5th and a vineyard needs to demonstrate “noteworthiness” for 10 years to be considered for the registration. So, while 13 could technically be possible, it’s going to be more like a 20 or even 25 year-old vineyard that would qualify for the distinction.